When it comes to home renovation, one of the homeowner’s biggest fears is ending up spending more than they wanted. No matter how overwhelming a home remodeling project may seem, it is never guaranteed that everything will run smoothly. However, with some tips and tricks from experts, you can save here and there on any remodeling project. Follow through for tips on how to save on your home renovation as you increase the value and security of your home. 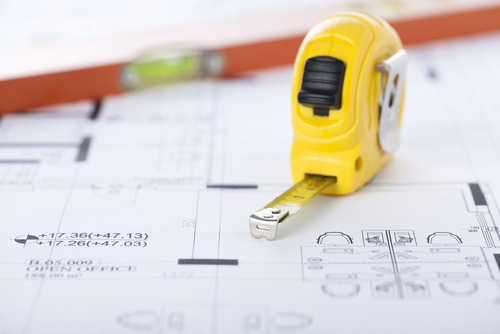 The first step towards a successful and cost effective home renovation project is good planning. Proper planning helps keep you on budget since you will know what you need and their cost earlier enough. It also helps you prevent delays as you will get to make product selections much earlier. Even before the builders start to show up, you should have a good idea of what you want and have already prowled the hardware. You should have in mind all the appliances and fixtures that you will need and an estimate of their prices in the hardware stores. You should only leave to the contractor the estimates of those things that you are unsure about. After you have made your decisions on your project, it is just natural for you to change your mind about some things. However, it is important to know that no matter how small the change may seem, it will come with some added costs. In addition, it will also affect the scheduling since everyone working on the old plan will always need to be updated on every single change. Therefore, since making some changes here and there is inevitable, you should be careful not to change your plans too much and delay the job. Depending on the scale of your project, you may need architecture, an interior designer, or just a talented builder to help you come up with a good design. You can also opt for a one time design consultation from architecture. If you choose to, let them visit your home, examine the problem, sketch out a few solutions, and then give the sketch to a builder to draft the plan. Before you construct, you will first have to demolish. However, knocking down may be just as costly as reconstructing. One of the ways you can cut down this cost is by doing the demolition yourself. Unlike with the exterior, you will have to be more careful if you have never done it before when it comes to your interior design. Sometimes, you may find that you need to demolish the whole house in case of a major renovation or the home's existing foundation is not up to code. Although you may very much hate to hear this, it is something worth to be considered in major home remodels. However, if the local code allows it, you may skip it and only make some small additions on just posts and beams. Before you go on cutting big holes and start rearranging the framing in the sides of your house, you should first consider other economical ways of capturing light. Increasing the amount of natural light in your home is always a very good investment. The more the number of recessed light you will have the greater the cost. Therefore, try to limit the amount of recessed light fixtures to cut down on cost. Installing a wall or ceiling mounted light can deliver more watts thus helping you to get away with a few fixtures. If your hallway is windowless, you can consider installing a light tube to slip between roof rafters thus funneling sunshine down into the living space. The highest cost when it comes to plumbing work is in the toilet and the kitchen sink. Since planning is in the walls, changing it requires much more work and this is why it is advisable to use the existing plumbing locations if possible. However, if your new design requires that they be moved, you can take this to your advantage and use the opportunity to upgrade even the pipes to save you in the future. Another thing that you can skip are the walls provided they are in good condition. All they will take are just some time filing and sanding them to make them ready for painting. Also remember to insulate all exterior walls and ceilings that you will open up. This serves as a cost effective way to reduce sound especially around the bedrooms and bathrooms. If your house constitutes of only single glass windows, you may consider replacing them with insulated windows. Apart from helping reduce sound, they will also help save on heating and cooling in your home. Although buying your own materials may seem like a good idea to save on your budget, it is not advisable. When you let the builder buy the materials, they may get a better price than you since they are well versant with the field. If you have doubts that they mark up the cost of materials, you will find that even after mark up you will pay the same price if you buy them alone. Since remodeling is very expensive, most people often resolve to not moving out of their homes during this period. Although this is always for a very good reason, it is not advisable at all. 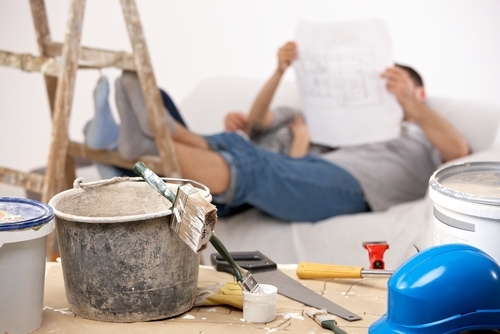 Home remodeling projects always affect every room in the house. As the homeowner, you will need to take down everything including moving the vases before the work begins. It is never safe either for you or your children and even your pets to be around construction. You can at least try to organize a retreat that is if you find that you can’t move out for the whole remodeling period. 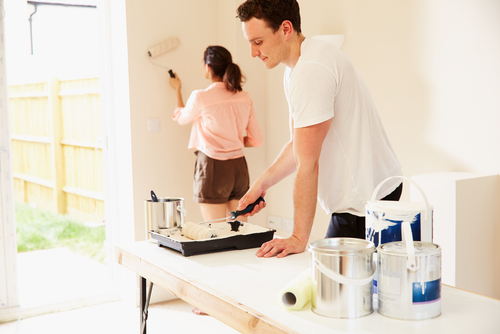 As the homeowner, be careful not to be a distraction to the ongoing work. It is important to remember that when you spend time talking to a worker, they won’t be paid any more to take some of their hours talking to you. This is why it is advisable to only focus your talks on things that have an impact on your project.